We all depend on banks. They help us save and they help us spend. Yet for many they represent everything that’s wrong with the world of finance. Poor service, high fees, creaking IT infrastructure and a market controlled by just a few providers have combined in recent years to create a personal banking crisis every bit as severe as the global financial crisis. How have things got so bad? Why are banks unable to balance providing good customer service with making a profit? And what can we do to protect ourselves from the tricks banks play to part us with our hard-earned money? This ground-breaking book, written by three insiders, reveals why banks do the things they do. From designing products they know will rip customers off to cutting branches they know their customers rely on, they explain how many banks’ failing business models force them to make the wrong choices again and again. They make a rallying call for us all to be better informed about how everyday banking products actually work and to be wary of the many tricks and techniques product managers devise to make money. 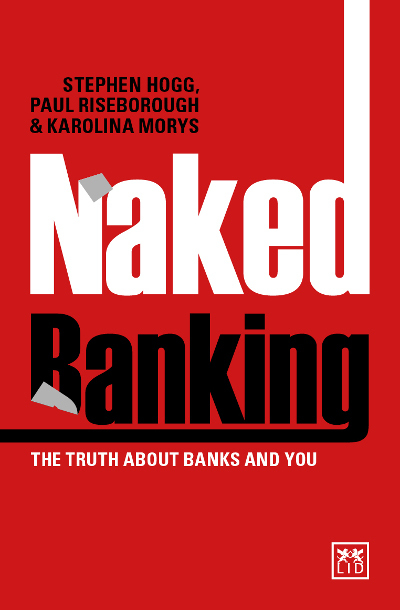 ● Everyone needs to read this book – the tricks that banks play on us, and what we can do avoid them! Steve Hogg is Director of Commercial Propositions and Paul Riseborough is Chief Commercial Officer of Metro Bank, a leading challenger bank. Karolina Morys is formerly Head of Retail Products at Metro Bank.